Augment your Mage's Spellbook with your favourite spells. 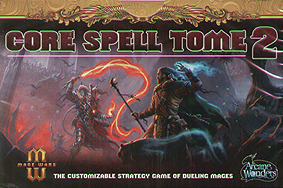 The Core Spell Tome 2 contains 110 additional copies of the most useful spells from the Mage Wars core set. Mage Wars core set required for play.